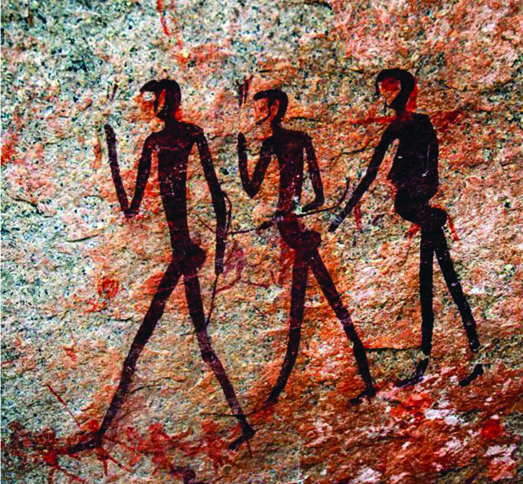 The history of this land can be found carved into rock paintings found in the south and in Twyfelfontein, some dating back to 26,000 B.C. A long lineage of various groups including San Bushmen, Bantu herdsmen and finally the Himba, Herero and Nama tribes among others – have been making this rugged land home for thousands of years. But, as Namibia has one of the world’s most barren and inhospitable coastlines, it wasn’t until the middle of the nineteenth century that explorers, ivory hunters, prospectors and missionaries began to journey into its interior. Beyond these visitors, Namibia was largely spared the attentions of European powers until the end of the 19th century when it was colonized by Germany. The colonization period was marred by many conflicts and rebellions by the pre-colonial Namibia population until World War I when it abruptly ended upon Germany’s surrender to the South African expeditionary army. In effect, this transition only traded one colonial experience for another. In 1966 the South West Africa People's Organisation (SWAPO) launched the war for liberation for the area soon-named Namibia. The struggle for independence intensified and continued until South Africa agreed in 1988 to end its Apartheid administration. After democratic elections were held in 1989, Namibia became an independent state on March 21, 1990. To date, Namibia boasts a proud record of uninterrupted peace and stability for all to enjoy.